Kim Hyung-jun Attempts a Grand "Escape"
… and for the most part, he succeeds with it. Two years after the expiration of their contracts with DSP Entertainent, each of the members of boy group SS501 have each ventured into their own solo careers with varying levels of success. 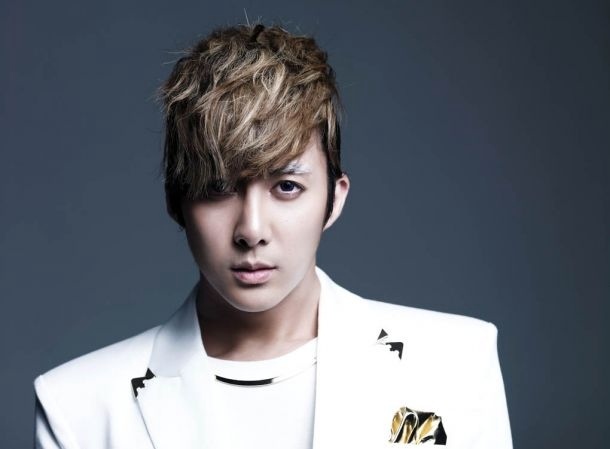 Now signed under S Plus Entertainment, over a year after his last solo project with album My Girl, maknae of the group Kim Hyung-jun recently came back with mini album Escape. Escape, as a whole, is an escape from all the clutter and unnecessary complexity present in a lot of K-pop songs as of late. All the songs are very simple in production and feature very crisp sounds, a style that definitely helps distinguish Hyung-jun — who, along with the rest of his groupmates, debuted in 2005 — as a senior in the industry. But while simplicity is definitely a virtue to be cherished especially in K-pop nowadays, the simplicity of this album can also be the blame of highlighting its, albeit slight, faults. While the musical styling of this project doesn’t deviate much from the clean and mature concept used in My Girl, that doesn’t necessarily mean that there isn’t any apparent growth or change in Hyung-jun’s sound. Escape tries to further showcase Hyung-jun’s range and capabilities as a vocalist a bit more than My Girl did, and it’s made clear right from the beginning. While the transitions were slightly off, using “Sorry I’m Sorry” was a good choice for a lead single as it’s definitely the most attention-grabbing piece in the album. 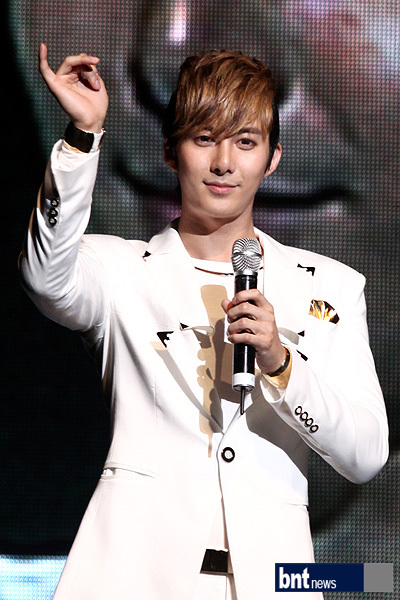 It features a fairly dynamic instrumental made of very tidy synths that work well with Hyung-jun’s dynamic vocals. Hyung-jun uses a variety of tones to sing this song. His voice is softer in the beginning verses and picks up momentum towards the pretty addictive chorus where the vocals are noticeably stronger. While the bridge wasn’t necessarily my favorite part of the song as it felt relatively anticlimactic, it still served its purpose in making the song a bit more varied and highlighting Hyung-jun’s voice. Next track on the album is “Just Let it Go.” The song has a very blues-inspired vibe, and the overall pace of the song gives Hyung-jun’s voice a smoothness that somewhat forgives the flaws in his voice. Discreet changes in his pitch add a bit of spice in the solid vocal performance, and the whisper-like rap actually fit the more sensual feel of the song. “Got It Wrong” follows, and it features a faster pace and a slightly higher tone than previous songs. Once again, the higher pitch and elongated notes highlights the oftentimes unpleasant nasal qualities of Hyung-jun’s voice, but the laid back feel of the song adds a bit of comfort. On the other hand, the rapping really didn’t add anything to the feel of the song, making its addition somewhat useless. Overall, “Got It Wrong” is a relaxing piece, and while it may not leave that big of an impression, the mellowness of it is very appreciated. The last song on the mini album is “Bad Guy.” The piece is very simple in production, featuring mainly only a soothing piano and warm guitar. While it may seem perfect for a drama OST, the emotional execution is something to be commended. Despite being slightly boring, “Bad Guy” is a sufficient end to the album, summing everything up and further showcasing Hyung-jun’s vocals. 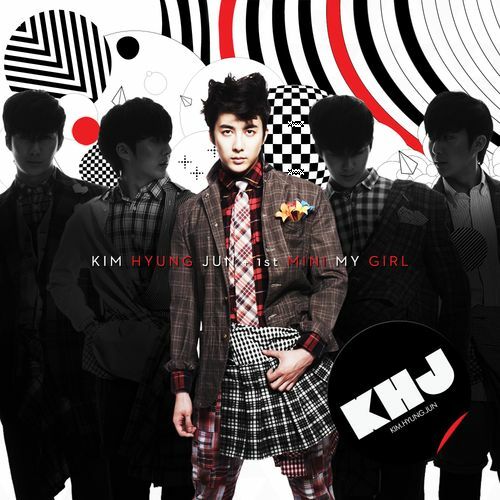 While very similar musically, conceptually, and even structurally with previous mini album My Girl, Escape attempts to add a bit more spice vocally, all the while trying to retain the simple, classier sound Kim Hyung-jun wants to be identified with. The simplicity in this album is very much appreciated, and it makes for a breezy, easy listen that stays fairly consistent throughout. None of the tracks could really be considered that weak of a link, and while another faster paced or dynamic song would have been appreciated, the slower songs had all had a pretty good pace that stayed consistent to the end. But while that simplicity helped some aspects of the album, like I said, it also made its flaws apparent, that flaw being Hyung-jun’s own voice, which really isn’t everyone’s cup of tea. The nasal aspect of his voice could get grating to some, and the simpler instrumental only calls more attention to it. A more dynamic sound would have fit the more dynamic vocals showcased, all the while hiding any unchangeable weakness present in Hyung-jun’s voice. All in all, the album deserves a fitting 4/5. While Kim Hyung-jun’s voice isn’t everyone’s cup of tea, it is still something worth being commended, and the simple take on this album speaks for itself. What do you think Seoulmates? Did you like Kim Hyung-jun’s Escape? Leave your thoughts and more below!